No doubt about it: this is the busiest time of the year. You’ve heard the old adage, “Clothes make the man.” With countless social and business functions to attend, looking good is essential. 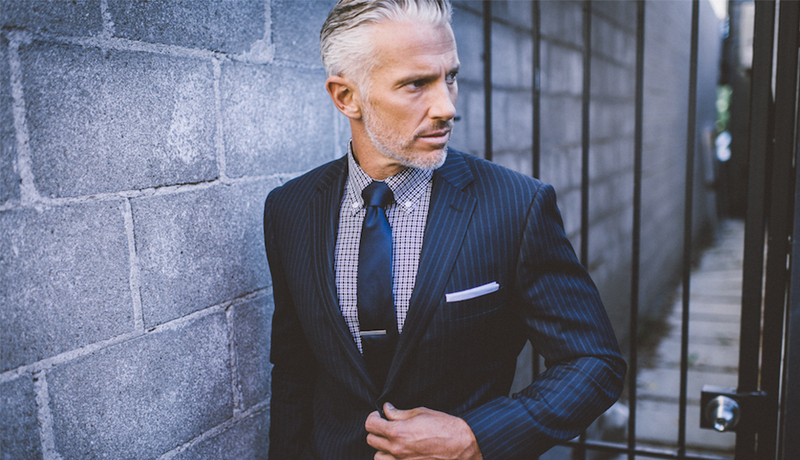 There’s no better way to look your best than with a made-to-measure suit from Indochino. During Indochino’s Black Friday sale through November 30th, you can save up to 70% off made to measure menswear suits, shirts and accessories — including styles from their latest collection. Black Friday sale prices make it even more affordable to wear garments tailored to your body and lifestyle. Save up to 50% off suits —maybe an essential navy pinstripe or charcoal for the office, a stylish light brown twill suit to help you stand out or premium gray sharkskin for signing that new account. Either way, your suit will be customized to suit the man you are. Here’s how it works. Choose your color and fabric, submit your measurements and leave it to the tailors. In four weeks, you’ll have a professionally fitted, custom-made suit delivered right to your home or Indochino’s Showroom at 85 Newbury Street. Make an appointment with an Indochino Style Guide who will suggest fabrics, color combos and accessories, and take your measurements so that you’re guaranteed a perfect fit. He’ll take your posture and work habits into consideration and help you make it one of a kind by selecting the lapel style, lining and buttons for a look that is exclusively yours. If you prefer, you can always submit your measurements and shop online. As you know, nobody can have too many shirts — especially ones that fit you like a glove. Save up to 50% on made to measure dress, casual, premium and tuxedo shirts in your favorite solids and patterns. For an even more personal touch, have them monogramed. Finish your look with accessories like scarves, hats and ties — at up to 70% off. Indochino makes it easy for you to look your best in any situation with made to measure suits and accessories —at up to 70% off through November 30th. Make an appointment now with a Style Guide at the Boston Showroom on Newbury Street or shop online with code BLKFRI.